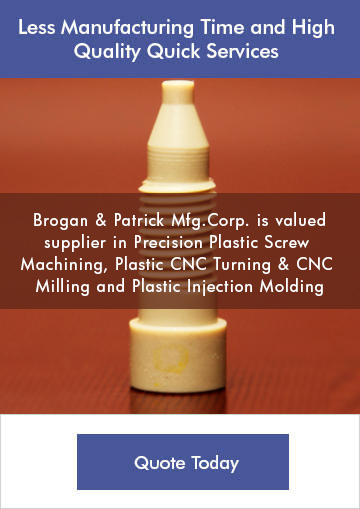 Brogan & Patrick Manufacturing Corp. offers custom screw machining services in plastic and metal. 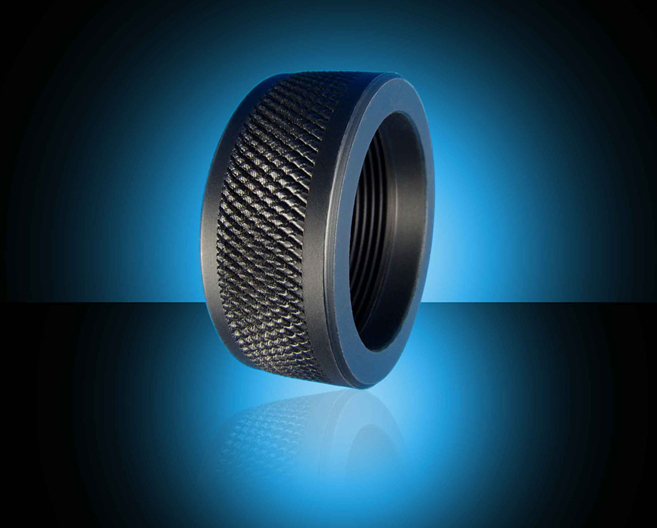 Screw machining allows us to produce a wide variety of components for use in different industrial applications. We integrate traditional and contemporary technologies to create an efficient and cost-effective production process. 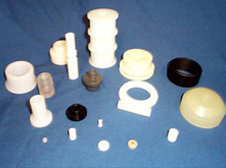 We utilize automated single and multi-spindle machines screw machines. Screw machines are extremely fast and high accurate in producing washers, spacers, inserts, threaded spacers and many other various components. Screw Machining: Our equipment can be used to create prototypes, as well as high volume production components. The equipment is capable of handling stock material in hex, or round shapes. With this equipment, we can produce parts with features such as slots, knurls, tapers, axial holes circumferential markings, external & internal steps and threads. The combination of automated spindle machines, and screw machining systems allows us to take on simple as well as complex parts manufacturing requirements. Machining attachments can be added to the equipment for secondary operations. This helps reduce costs substantially. We can set up multiple screw machines with multiples set ups to work simultaneously. 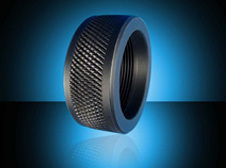 This allows us to complete the parts manufacturing process within the deadline. As part of our services, we provide complete product assembly. We can assemble the part according to the customer’s instructions prior to product testing and delivery.